Your mail will boldly go where no mail has gone before. 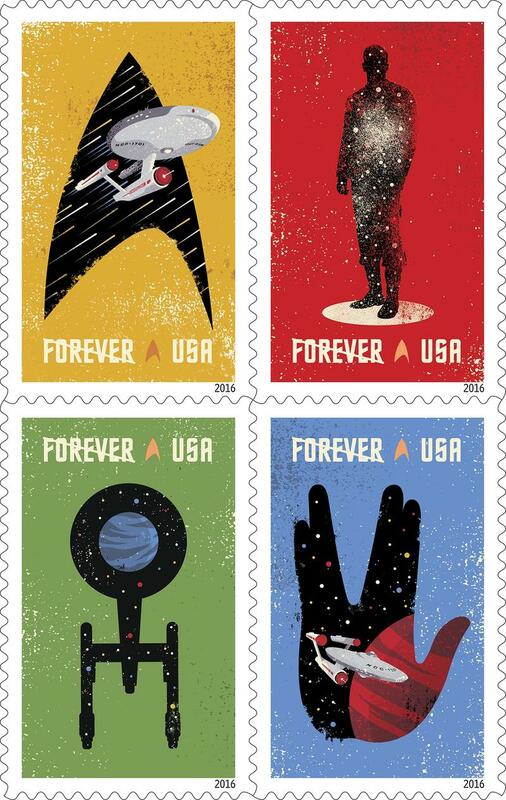 The United States Postal Service on Thursday revealed some of its new 2016 stamps, four of which were designed to commemorate Star Trek’s 50th anniversary next year. 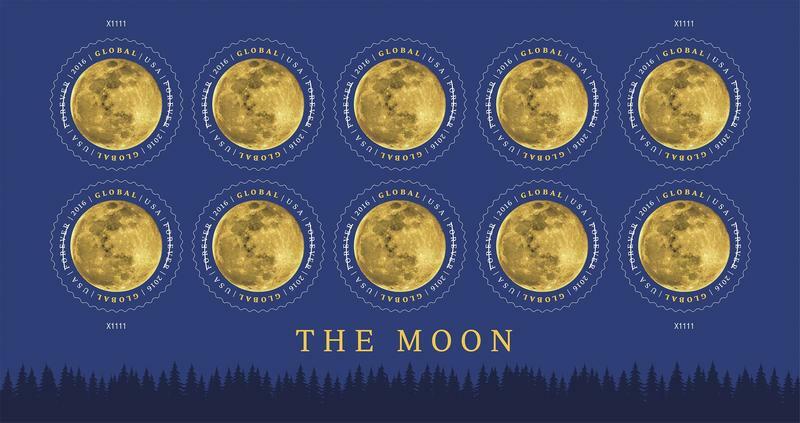 Whoever designed these stamps deserves an award; they’re absolutely wonderful. 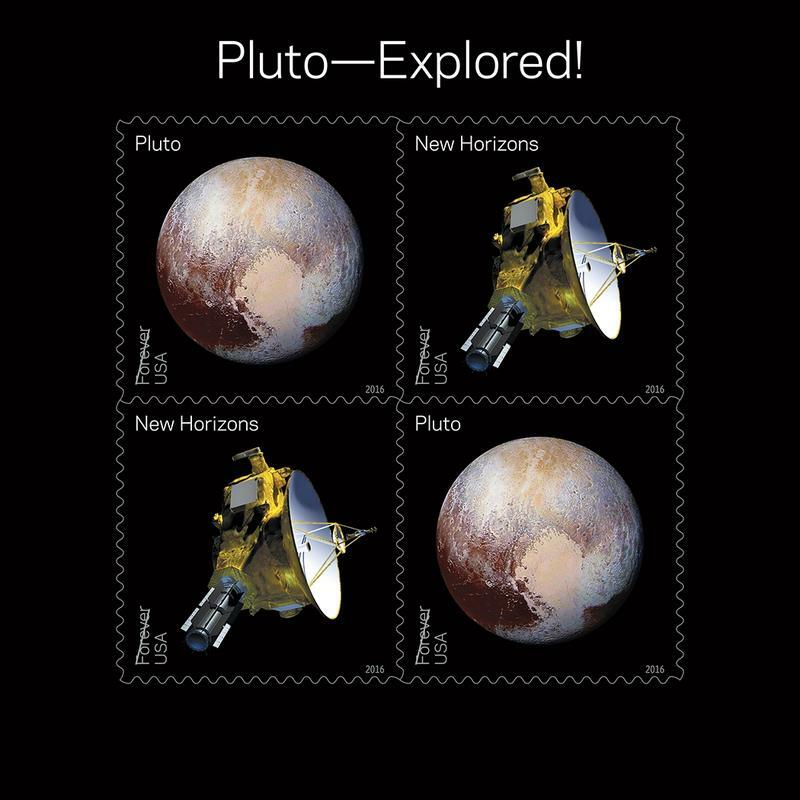 Meanwhile, the USPS also introduced stamps that celebrate NASA’s New Horizons Mission to Pluto. Earlier this summer, New Horizons made its historic flyby of the distant planet, sending back gobs of data and some truly spectacular photos. What people don’t know is that the New Horizons spacecraft was carrying with it a 1991 Pluto: Not Yet Explored stamp. Well, Pluto has been explored, thus the new Pluto—Explored! set. 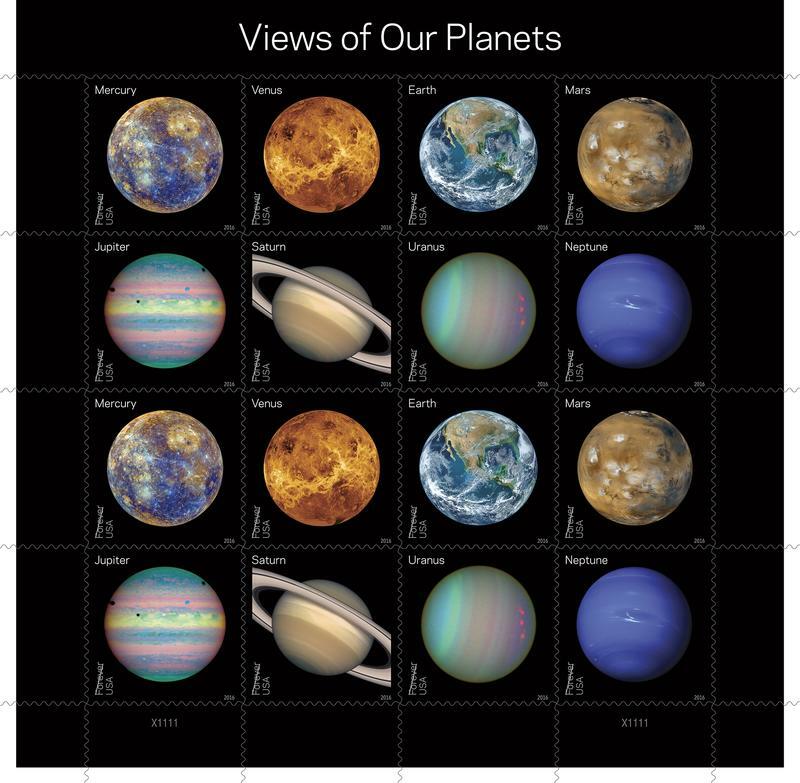 Finally, the USPS will also introduce a Views of Our Planets set, along with a set for our Moon. Who said stamps were boring?